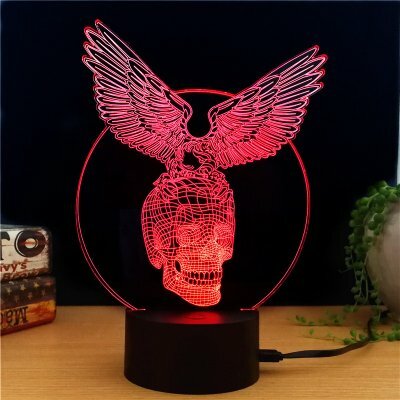 Successfully Added Black Hawk Knight 3D LED Light - 7 Colors, 2 Light Modes, Power Through Micro USB, 5W to your Shopping Cart. 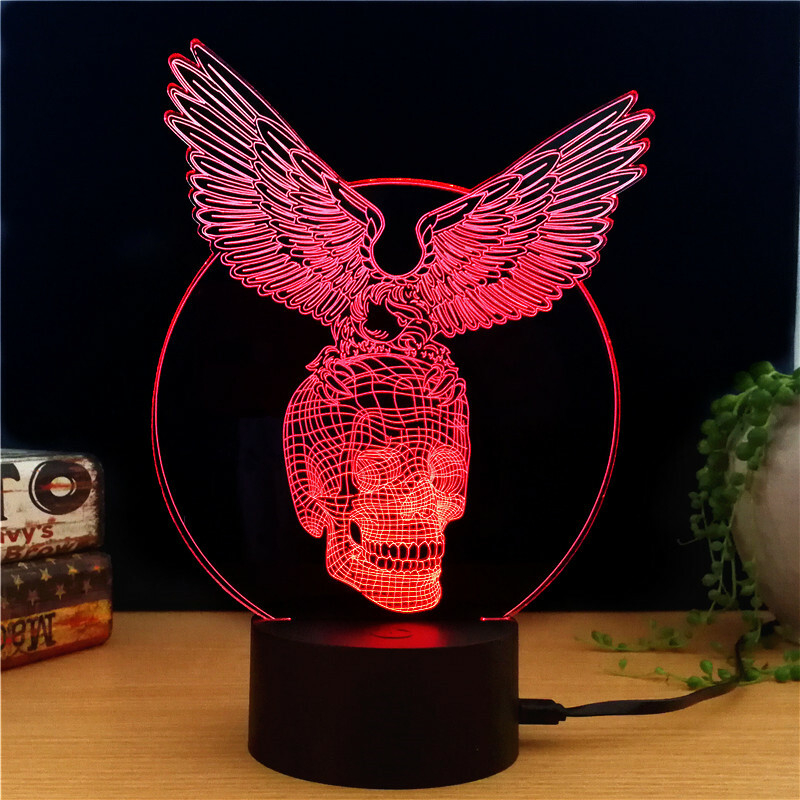 This Black Hawk Knight LED light is the perfect gadget to show off your affection for hard rock and bikers memorabilia. It can be placed in a bedroom, a children's room, a living room, a bar, a cafe, a dining room, etc. as a decorative lamp.